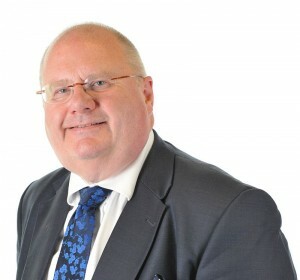 The below speech was made by the Secretary of State for Communities, Eric Pickles, in October 2012. After two and a half years in Coalition, it still seems strange to be working with our yellow chums in government. I sit next to Vince Cable in Cabinet. He’s not as cheerful as he seems on telly. But I wasn’t always a Conservative. I was born into a Labour family. My great-grandfather was one of the founding members of the local Independent Labour Party. As a 14 year old, my birthday present was a book by Leon Trotsky. Trotsky rightly warned of the oppressive bureaucracy of the Soviets. But it was the Soviet invasion of Czechoslovakia that made me join the Conservative Party as a protest. Gradually I became a Conservative. A Tory that has a burning dislike of oppressive state bureaucracy. A Tory that knows that prosperity and fairness is best delivered through freedom. Now, I came from a humble background. And I am proud to be both a Member of Parliament and a member of David Cameron’s Cabinet. It was the Conservative Party that helped me get where I am today. And now, I want others to have a chance in life. There is nothing more fundamental than supporting home ownership. We have reinvigorated the Right to Buy, reversing Labour’s savage cuts. …Using the money from additional sales to build more affordable homes. The Right to Buy gives something back to families who worked hard, pay their rent and play by the rules. Across the country, Margaret Thatcher’s Right to Buy has given people a sense of pride and ownership in where they live. Sadly, many Labour councils are keeping their tenants in the dark about these new extended rights. Their council leaders have pledged to fight tooth and nail against the Right to Buy. A right can only be exercised if you know about it. So I can pledge my department will be talking direct to tenants to inform them of their Right to Buy. It’s a great policy to campaign on for May’s local elections. We should tell every tenant in every council estate – that we’re on their side. We are also tackling a great injustice – discrimination against our Armed Forces. Precisely because they have served overseas – servicemen and women don’t have a ‘local connection’ under housing rules. Amazingly foreign migrants have been given greater priority on housing waiting lists than those who fought for Queen and Country. So we have changed the rules to give Armed Forces first priority for our first-time buyer and shared ownership schemes. …from the Armed Forces to community volunteers. Some Labour councils are turning their back on our Armed Forces. I don’t mind discriminating in favour of our military heroes. I believe in lower taxes. Whereas Labour doubled council tax. We have worked with councils to freeze it for the last two years. And this year, we are again offering additional funding to help councils freeze their bills. And we’ve scrapped Labour’s plans for an expensive and intrusive council tax revaluation, and Labour’s plans for new taxes on your home improvements. We want to make it easier for families to improve their home and build a new conservatory. Labour want to tax it! We have also cut business rates for small firms, doubling their rate relief. Bit by bit, we are pulling back the burden of regulation imposed by Labour. Opening up more government contracts to small and medium firms. And we have scrapped Whitehall rules which forced up parking charges and made it impossible to park in town centres. Now, councils need to do their bit to help. And to encourage that, we are giving councils a financial stake in their high street. From April, councils will keep more of the money they raise in business rates. No longer will it all be snatched back by Whitehall. So councils will have a direct interest and motivation to see their local economy grow and develop. Conservative councils, I know, will seize this opportunity. They will reward enterprise and hard work. By cutting waste and bureaucracy, we’ve been able to cut council tax and business rates, and still pay off Labour’s deficit. I’m doing my bit in Whitehall. My department is reducing its running costs by five hundred and seventy million pounds. Yet despite the fact that Labour were planning big cuts in local government budgets, Labour have opposed every single saving we’ve made. All they offer is more borrowing and more taxes. They are simply not credible. I believe that more joint working, cutting fraud, clamping down on senior pay, greater transparency, and better procurement will help deliver sensible savings in council budgets, and protect frontline services. We’ve published every single item spent on the Government’s corporate credit cards, reducing our card spending by three quarters. It has exposed astonishing waste by Labour – wining, dining and jollies at your expense. Whereas arrogant Labour Ministers had a party at your expense, I’m proud of what this Government has done to support people’s street parties. The Royal Wedding, the Diamond Jubilee and the Olympics were great occasions of the nation coming together. supporting our united identity and our common English language. We have stood up for the role of Christianity and faith in public life. And protected councils’ right to hold prayers at meetings, if they wish. Upholding values of tolerance and freedom of religion. Rights that existed long before European Judges came into existence. And, at the same time, we will confront and challenge the minority of extremists who spread hate and division. We are stronger as a nation when we stand together. And – what a great thing it is – that kids in Birmingham, across colours and creeds, have been waving the Union flag this summer for British champions like Mo Farah. Born overseas, but now proud to be British. We Brits are increasingly proud to fly flags as an expression of our local and national identities. Now, flying a flag should be a pleasure, not a chore. Brussels has been trying to make it compulsory for public buildings to fly the EU flag all year round. Bless them – they thought it was a good idea. We have successfully fought off this ludicrous policy. We’ll fly flags – but of our own choosing. So I’ve cut the rules which has held back flag-flying of Britain’s local and military flags. Such as the great flag of Yorkshire and its White Rose. Now, I’m proud to have been born and bred in Yorkshire, but Essex is my home now. I have been transformed from a Yorkshire TYKE to an Essex TOWIE. My constituency is the location of the television programme The Only Way Is Essex. It’s fun TV and we all enjoy it. – if you work hard, you can go far. It’s a message well understood by Margaret Thatcher, John Major and by David Cameron. It doesn’t matter where you’re from, it’s where you’re going that counts. As Conservatives, we are at our best when we back that aspiration. We should reject the voices of the left who want to sneer at success, kick enterprise and punish the rewards that go with hard work. There are, of course, some families in our society who are caught in a culture of welfare dependency, criminality and low self-esteem. They have been let down. A cosy centre-left consensus saw this as ‘too difficult’ to tackle. They just kept paying the benefit and abandoned people in sink estates. We saw it during last year’s riots – opportunistic thugs – a Gucci generation looting flat-screen tellies and trendy trainers. And we see it with a generation who want nothing other than the next benefit cheque, and don’t care about their kids’ future. That is why we have launched a Troubled Families initiative – to tackle this head on. We are bringing all the different public agencies together. Dedicated workers to intervene and turn these families’ lives around. It’s not about social workers feeling their pain or respecting their “lifestyle choices”, it’s about tough love – very tough love. It’s not acceptable for parents to blow their benefits on booze or drugs. Or allow their kids to skip school and drift into crime. So we will work with families to provide the guidance and supervision that kids need. Every council has signed up to a scheme. By the end of the year, we have committed to be actively working with over forty-thousand families across England. By the end of this Parliament, we aim to have turned around one-hundred-and-twenty thousand troubled families. But we will help improve the lives of the most vulnerable, neglected and exploited in society. Just as we want to change things, we also want to protect the good things – especially the environment. So we’ve introduced a new protection for valuable green spaces and have given councils new powers to stop unwanted garden grabbing. Now, there’s been a lot of press speculation in recent weeks on the Green Belt. Protecting the character of the countryside is stamped deep into the heart of Conservativism. And I want to be absolutely clear – the Green Belt plays a vital role in stopping urban sprawl – and we will protect it. To maintain those environmental safeguards, we have to be tough on those who break them. We are helping councils tackle the rogue landlords who build “beds in sheds” – which house and exploit illegal immigrants. We have outlawed squatting in people’s homes. Invade someone’s house and you now go to jail. We’ve handed councils the powers to close down the protestors’ shanty towns that blighted the likes of Parliament Square and St Paul’s. Now, long-drawn out cases like Dale Farm have brought the legal system into disrepute. You know the story: in breach of planning law, travellers move in over a bank holiday weekend, and it takes years for councils to remove them. A small minority exploit Labour’s human rights and equality rules and have cost taxpayers millions of pounds. Such episodes give the whole travelling community a bad name and fuels community tensions. So I can announce today new powers for councils to literally stop those caravans in their tracks. We will stand by those who play by the rules, and use the full force of the law against those who break them. In my Ministerial office, I’ve placed reminders of what it means to be a Conservative. A poster of the great Winston. A momento of the magnificent Margaret. But over my left shoulder is a photograph that often catches the eye of visitors. Smoking a very large Havana cigar. It’s there to remind me: that without constant vigilance – the cigar-chomping Commies will take over. Well, that isn’t going to happen on my watch. After more than two years in government, I’ve learnt that cigar-chomping Commies come in many guises. We may be in Coalition, but we are doing sound Conservative things, and we should be proud of what we’re doing. And proud to be at the front of a revolution. A very Conservative revolution that will allow Britain to deliver.